Finally, we can talk about our upcoming trip to San Diego! The convention starts in just two weeks, and as you probably know, for 5 days it will be the center of the entertainment universe, and feature all the things that nerds and geeks love. 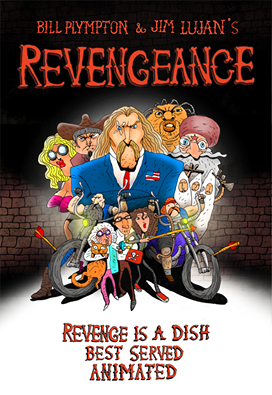 And that includes animation - Jim Lujan and I are going to be appearing on a panel to preview our upcoming animated feature, "Revengeance". We'll have a bunch of the voice-over actors from the film there, so it should be a lot of fun. Also, we'll be showing new clips from the film (much longer than the ones we showed last time). I think it's one of the best films I've ever made, so please visit our panel on Friday, July 22, at 4 pm in Room 23ABC. If you attend the panel, you'll get a postcard - then just bring it on down to my booth (#1537) afterwards and I will give you a free sketch on the postcard! Also, my short film "The Loneliest Stoplight" will be playing in the Comic-Con International Independent Film Festival on Saturday, July 23 at 12:40 pm in the Pacific Ballroom 23 on the first floor of the San Diego Marriott Marquis. This is the hotel next door to the convention center, on the north end (close to Hall A). Yes, you'll have to leave the convention center, but I promise it's worth it! Your Comic-Con badge will get you in to the film screening, just like it will get you in to the Exhibit Hall and other events. The rest of the time, (OK, most of the rest of the time...) I'll be in Booth #1537, and if you missed my last post about Comic-Con, here's how to find us. 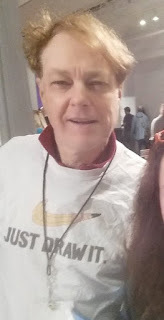 In the big exhibit hall, with its hundreds of booths and thousands of people, just go to Row #1500 - look for the big banners hanging from the ceilings with the row numbers on them. 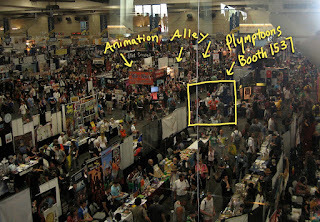 Then just walk toward the back, about 3 aisles in, we'll be on the corner, across from the Spike & Mike's booth. If you hit the back wall, you've gone too far, so turn around. You'll recognize me because I'll be wearing this very cool t-shirt I designed. It's in reaction to all these idiots who come up to me and ask me why I'm not making computer animation - and then when I talk to them they always complain about glitches, crashes, slow rendering times, expenses, software problems, etc. etc. and I tell them "Just Draw It". Why not pick up this book about the FIRST Clinton administration, a parody of the coverage of the Monica Lewinsky scandal. Relive the "Glory Days" of the mid 1990's when Bill Clinton was President and it sucked to be a White House intern! 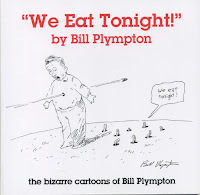 Monica's story is told in hilarious verse, with illustrations by Bill Plympton! 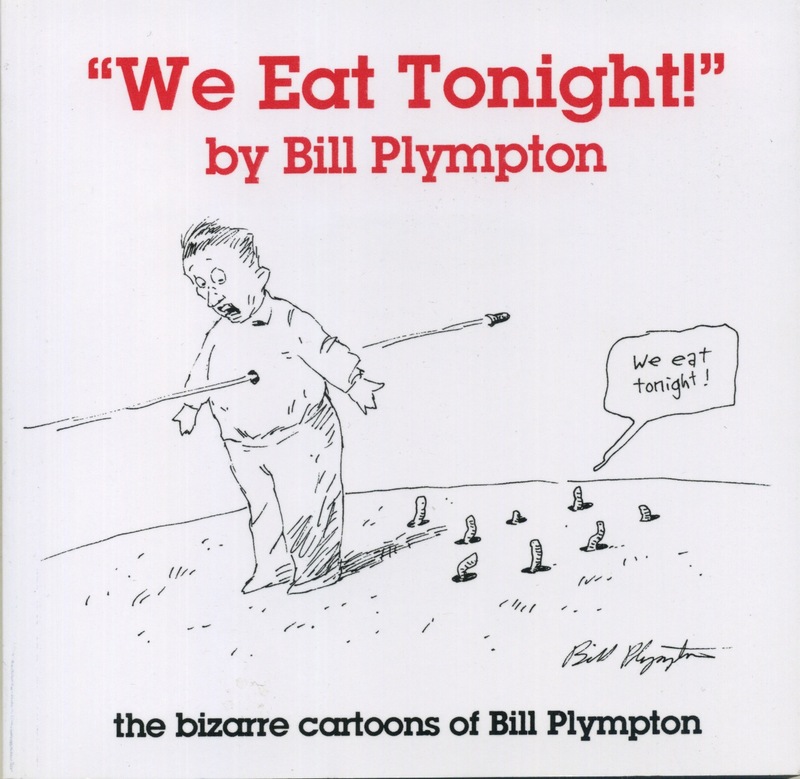 Anyone in the lower 99% can afford this - at just $5, it's the cheapest thing on the table that you can get autographed by Bill! A collection of print cartoons from a previous decade (some of these cartoons are nearly as old as Bernie!) there's even a drawing of some Socialist worms on the cover, getting ready to share the wealth! It's time to get educated before you vote! Are you a Democrat, a Republican, or just not sure? 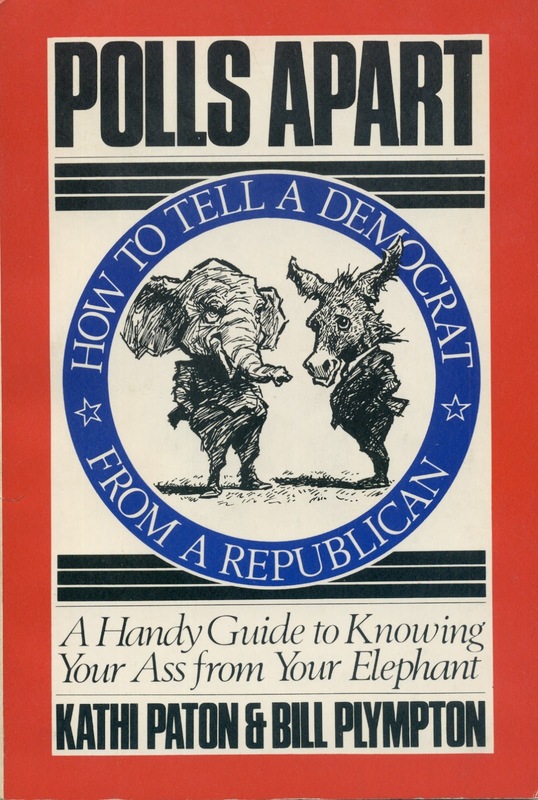 Learn all the subtle differences with this book from another election year, 1984 - because nothing's really changed since then, right? 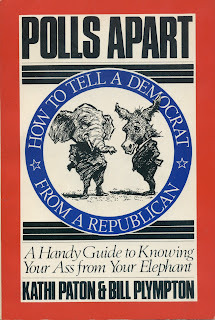 This book is mighty collectable, it's been out of print for years, but we recently bought some copies on eBay and Amazon, just so you can figure out which side of the political fence you're on! 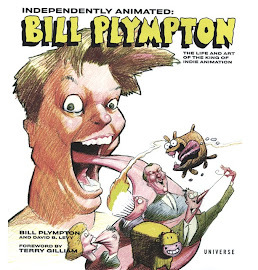 This collection of Bill Plympton print cartoons from men's magazine is right up Trump's alley. (And what a sleazy alley that is!) 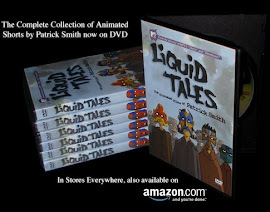 We've still got a few copies left from the book's first printing, and when those are gone, this book's going to be extremely rare and valuable! I mean, it's gonna be HUGE! For adults only, don't let the kids read it. But we've sold hundreds of these over the years, and people seem to really, really like it, they say it's amazing. 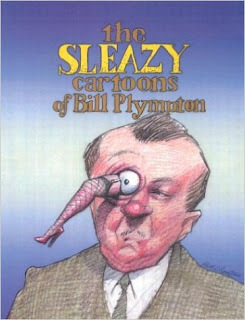 Top quality dirty cartoons, printed in Canada, not Mexico! 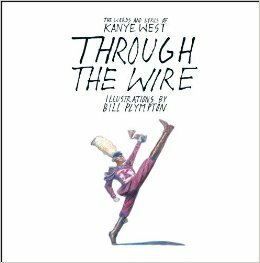 We'll have copies of the book "Through the Wire", featuring lyrics by the great Kanye West, with illustrations by Bill Plympton that go along with them! Get a jump on the next election season before this one's even over! This "graphic memoir" uses 12 of Kanye's songs to tell his back-story - find out what put him on the road to stardom with annotated explanations of the references in his songs. From "Jesus Walks" and "Heard 'em Say" to "School Spirit" and "Gold Digger", pick up this one-of-a-kind book that's a unique, rare partnership between two creative minds. Imma let you finish, Taylor Swift, but this is one of the best illustrated books of all time! Yeezy for Preezy! So I hope to see you all at our booth in San Diego!